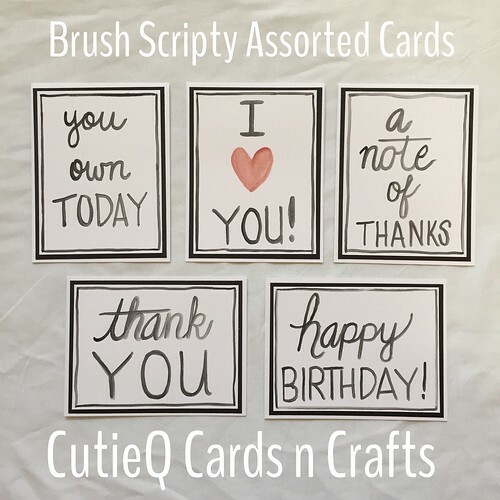 CutieQ Cards n Crafts – Assorted Brush Script Card Set | Living life in the carpool lane..
I’ve always loved watching people write with a brush using their water colors. I always felt like I couldn’t do it, or that my writing was never good enough. I still don’t think I’m anywhere near as good as those people I watch on Youtube, but I’m starting to like what I create. 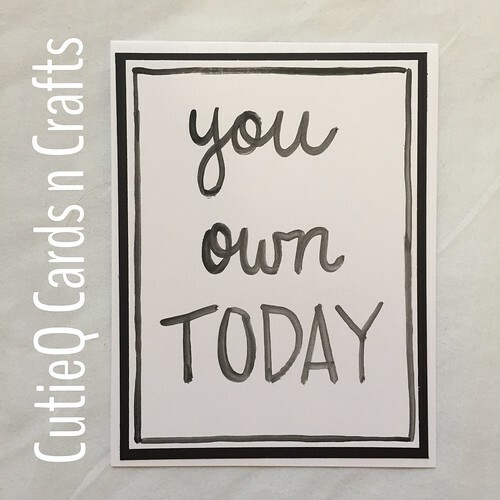 Each card is hand scripted by me using watercolors on white cardstock. 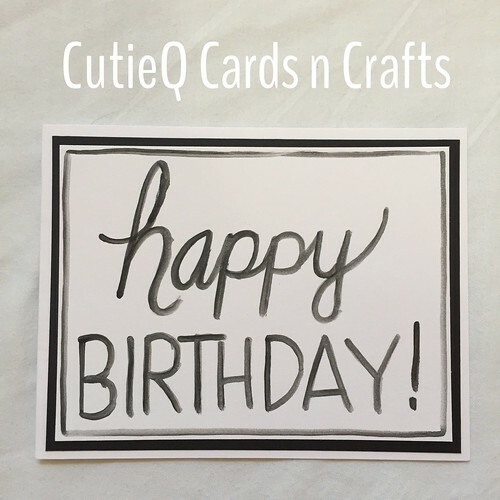 Each card is blank inside so that you can add your own personalized message inside. 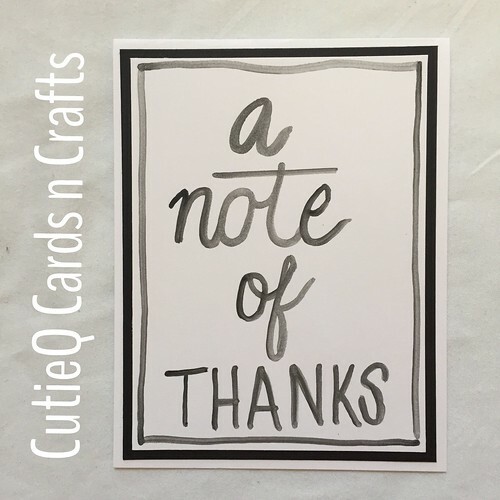 Each card set is made to order so please allow 1-2 weeks after receiving the payment for your set to be shipped out. Like all things handmade, the items you receive may not look exactly like what you see in the photo. There will be some slight variations, but that’s the beauty of handmade, right? Every item is one of a kind!! 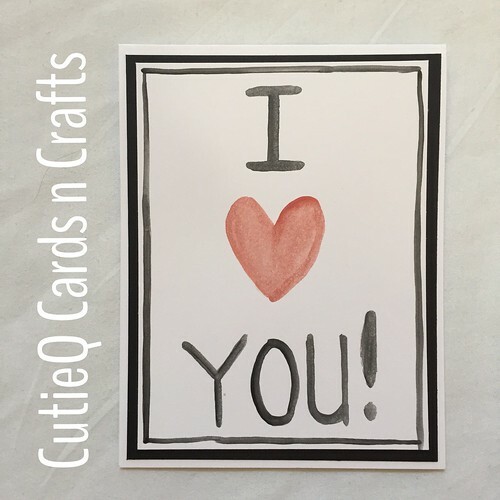 This card set is $20 plus $5 for shipping. I hope you like it! You will be seeing it posted on Etsy soon. 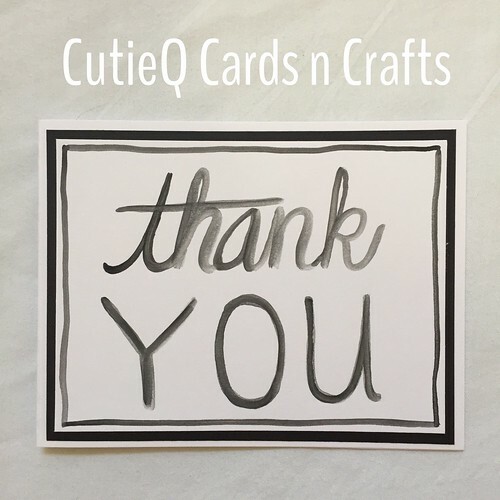 If you have any questions, or would like to see specific cards or cardsets made, please do not hesitate to leave me a comment below and we can get the conversation started!